Who says you can’t be a fierce warrior AND a skilled artist?! Not the Samurai! Holding a Japanese Sword, Camp Japan goes to the Asian Art Museum. Camp Japan is a unique day camp combining martial arts, art and culture. Taught by black belts, artists, musicians, professional educators and more, we offer hands-on experiences for all the five senses. 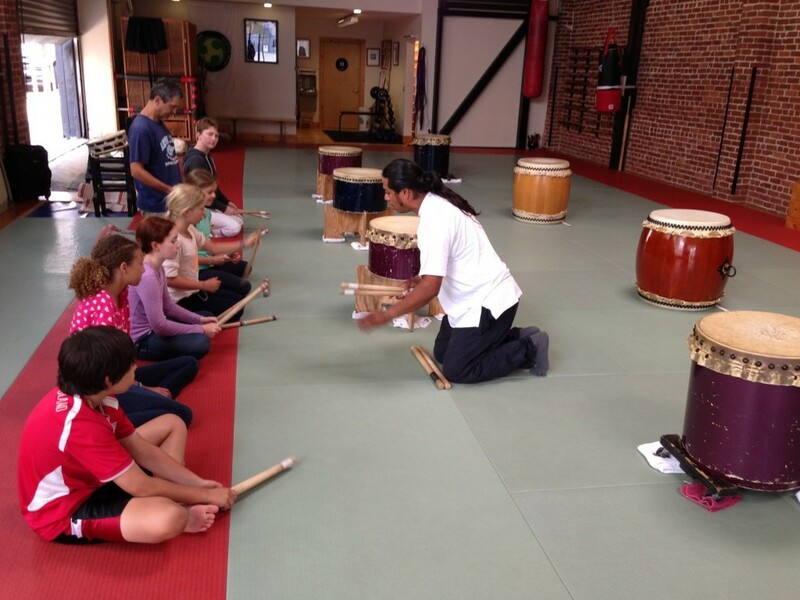 Hosted at a state-of-the-art martial arts dojo, we also go on fun-filled field trips to local museums and parks. Campers bond in an immersive experience for the mind, body and heart, expanding their skills in creativity, fitness, coordination, self-defense, cooperation, leadership, focus and reflection while exploring and having fun! Brush Painting, Tigers at the Asian Art Museum. Trying on Samurai Armor at the Asian Art Museum. Enacting the Tea Ceremony at the Asian Art Museum.